During cyclocross races there isn't the opportunity to be drinking from a bottle or taking a gel. Instead you need to come into the start of the race fully loaded, knowing that all you will be doing is depleting your stores once the gun goes off. Therefore, drastically increasing your intake of fluids and sodium will help increase circulation of nutrients and water in your blood so your muscles can be firing on all cylinders. That is why "super hydrating" prior to a race with Vite Charge can guarantee your body has what it needs to deliver fluid to your muscles when you need it to. (2) Take a caffeinated gel. Depending on your tolerance for caffeine a 50-100mg gel can definitely increase performance. It is important here to get the caffeine and fast burning carbohydrates anywhere from 30-45 minutes before the gun. Unlike road races where you might wait until mid-race, in CX you want that caffeine to be charging your systems from the gun. So 15 minutes before just isn't enough time to adequately get it into your system. Remember, one of the most important parts of the race is the start and your positioning into that first turn. (3) Arrive at the start line hydrated. Don't worry about having the urge to pee during the race. As long as you went 15-30 minutes before the start, you'll be good. Once the race starts it will be so intense that your body will shut off the "I need to pee" part of your brain. Instead, you will be fully hydrated and be able to draw on that reserve during the 30-60 minutes of racing. PRO TIP: Sip on some Hydration drink as you wait in the staging area. This will give you the last bit of hydration you need as well as alleviate any potential dry mouth feeling before and during the race. Even though you are properly hydrated, starting a race with cotton mouth happens and this is a way to help avoid that. By paying attention to these details, you will ensure that you are properly prepared for those efforts. And more importantly that you are more prepared than your competitors. This is critical when you know the other competitors are just as fast and/or have the same level of fitness. So proper fueling and hydration becomes that marginal gain that can help you get across the line in front. Please follow us on Facebook and Instagram to stay up to date on everything happening at Vite. 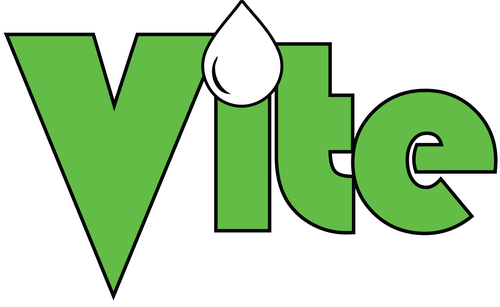 Dad to two boys, Cycling Coach, USAC Cat2 Road Racer, and Chief Bottle Washer @ Vite Nutrition.